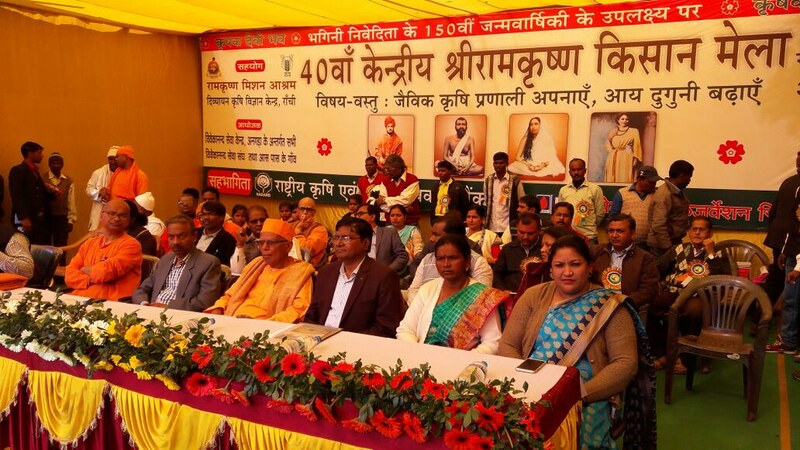 On the occasion of 150th Birth Anniversary of Sister Nivedita, Sri Ramakrishna Central Kisan Mela was organised on 1st and 2nd February, 2018 based on the theme “जैविक कृषि प्रणाली अपनाएं – आय दुगुनी बढाएं” (Take up Organic Farming, and Double Your Income) at Getalsud Farm of Angara Block in Ranchi District by the joint collaboration of Ramakrishna Mission Ashrama, Divayayan KVK, Morabadi, Ranchi and 33 Vivekananda Seva Sanghas of Angara Block. The objectives of the mela were to popularize organic integrated farming with new technologies of agriculture, to bring awareness among the farmers about the importance of soil health, to demonstrate low cost implements to reduce drudgery and increase agricultural productivity, to create awareness on technologies of animal husbandry in relation with organic farming and to make convergence with different government schemes and departments for farmers’ benefit. 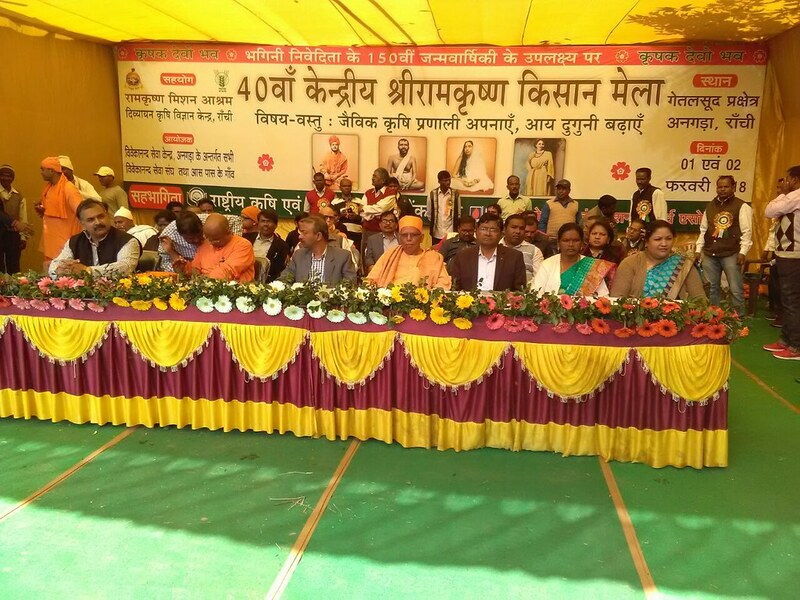 To meet the above objectives stalls, models, live demonstrations, audio-visual shows, charts, posters and Kisan Gosthi were organized during the Kisan Mela. All the events and shows were conducted in local/Hindi languages to get through to the farmers. 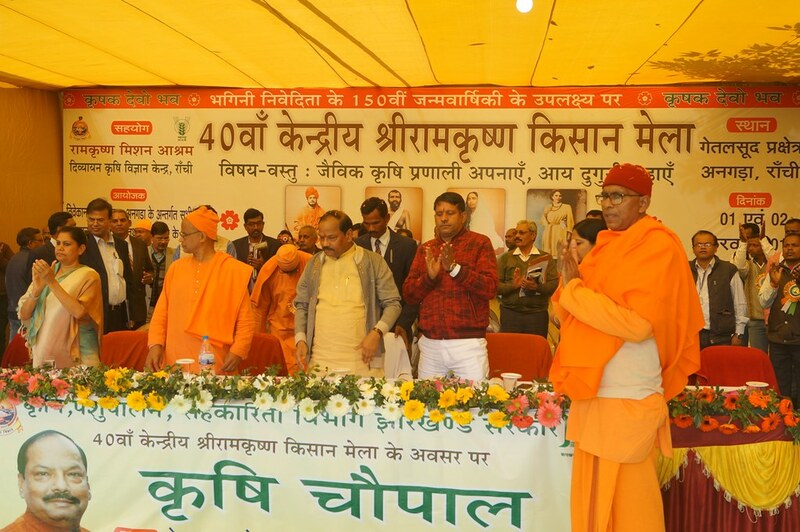 22 scientists from the Agricultural Universities and research institutions, KVK were invited during the mela to have direct interaction with the farmers. 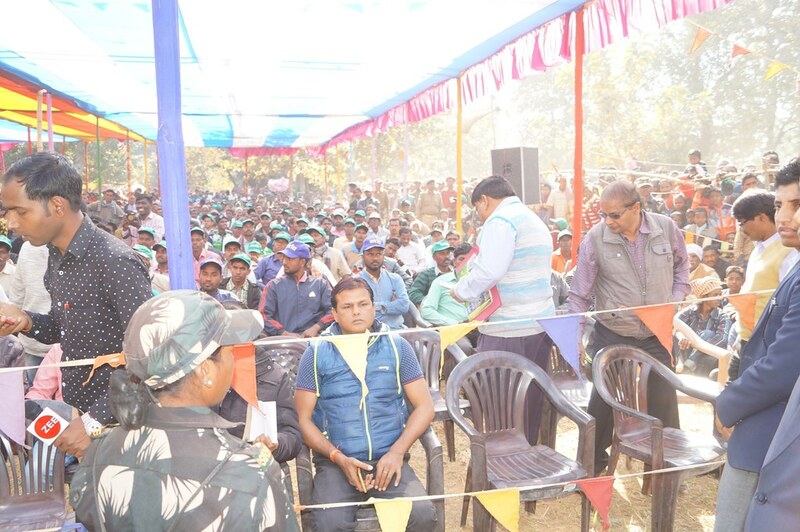 Though the mela was opened to the farmers since 8:00 am on 1st February, 2018, but it was formally inaugurated at 1:00 pm on the same day by the chief guest Sri Amit Khare, I.A.S., Development Commissioner, Govt. of Jharkhand in gracious presence of other dignitaries like Sri Acharya, General Manager, NABARD; Dr. Anjani Kumar, Director, ICAR-PATNA, B.D. O, Angara, Smt. 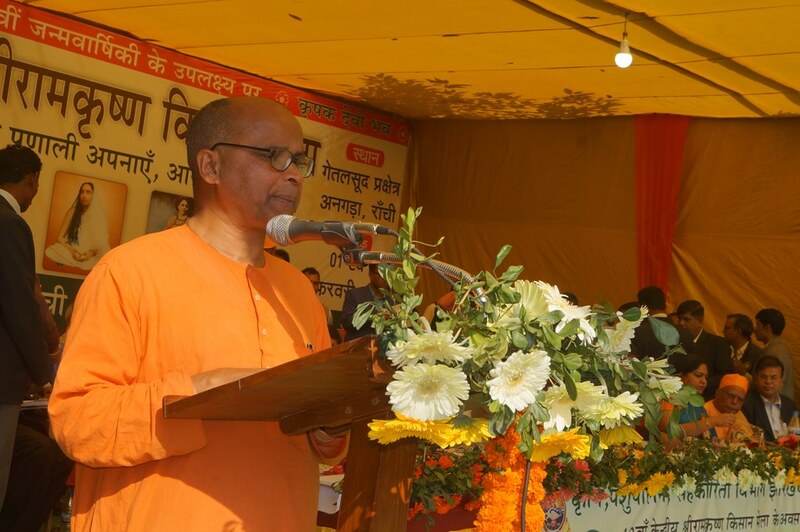 Anita Gadi, Prakhand Pramukh, Angara block etc. 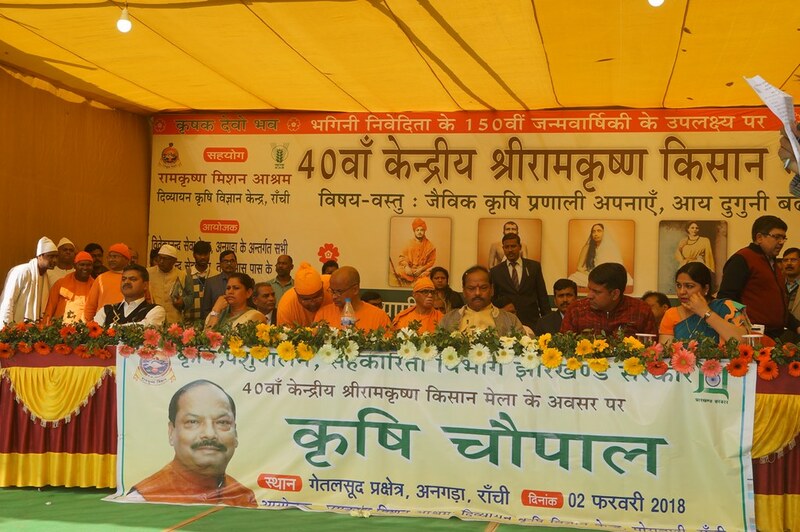 After the inauguration, all the guests visited the stalls put on by Divyayan KVK and other agencies. 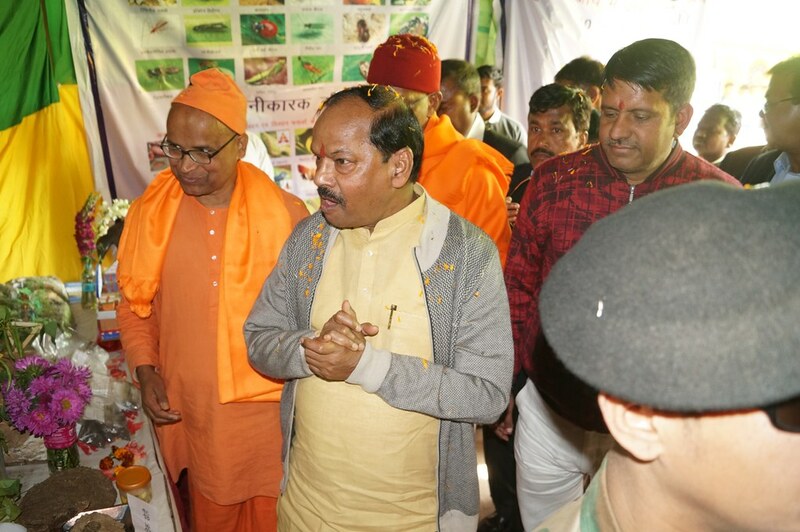 On the 2nd Day of Mela (2 Feb 2018), Sri Raghubar Das, Hon’ble Chief Minister of Jharkhand graced the concluding function by his presence as Chief Guest and Sri Randhir Kumar Singh, Hon’ble Agriculture Minister, Govt. 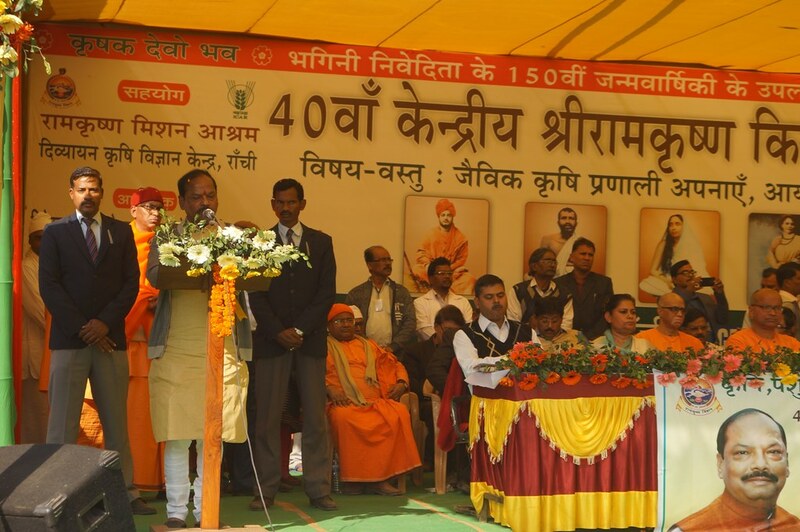 of Jharkhand was the Hon’ble Guest. Smt Rajbala Verma, Chief Secretary, Govt. 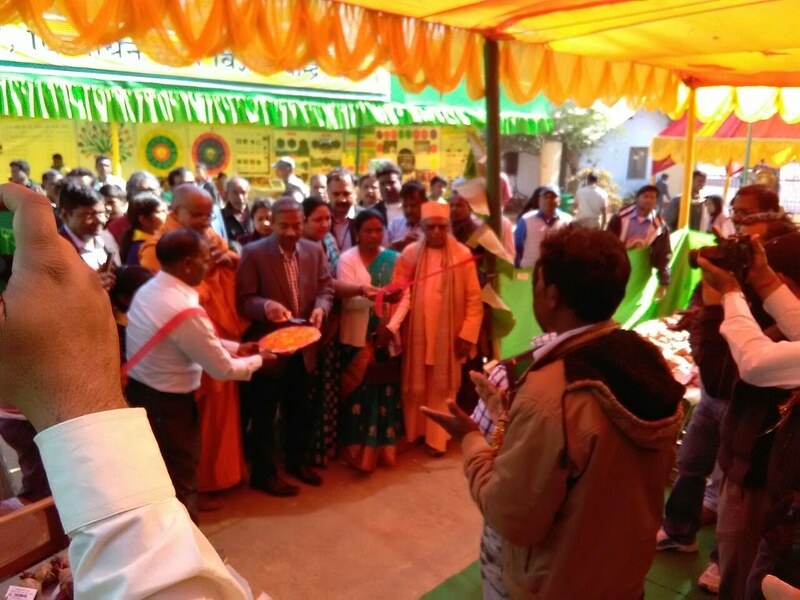 of Jharkhand, Smt Pooja Singhal, Secretary, Agriculture, Animal Husbandry and Co-operative, Sri Avinas Kumar, Principal Secretary, Rural Development, Sri Subrato Mandal, CGM, NABARD were the special Guests. A support of Rs. 4,00,000 to be provided by the Govt. if a farmer starts a enterprise in Animal Husbandry. Eggs produced from the farmers’ poultry will be procured by the to distribute in Mid-day-meal Scheme. Johar yojna for Women through which skill development of village women will be carried out. Through Tejaswinin Scheme the Govt. is making effort for skill development of Girls. 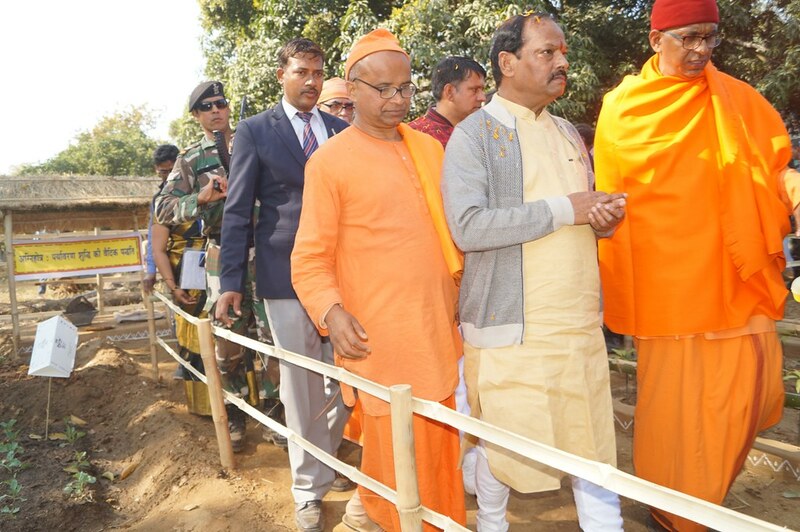 He also announced that in coming cabinet meeting to be held at Latehar, the Recurring Grant for the Ramakrishna Mission Vivekananda Educational and Research Institute (RKMVERI), Ranchi will be sanctioned. 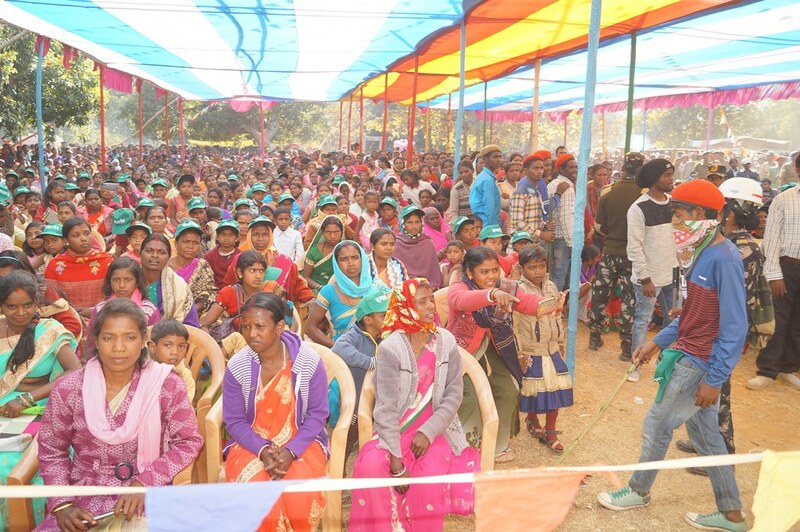 He called upon the participating farmers to form Adivasi Vikas Samiti/Gram Vikas Smiti in their respective village to carry our developmental works in their village and the Govt. would directly transfer fund upto Rs. 5,00,000/- to the Samiti’s account. If their works found to be satisfactory, all other works will be carried through these Samitis without depending on the Govt. department. He also requested our Ashrama to form such Samitis in our 120 adopted villages by 31 March, 2018 so that from April onwards Govt. would be able to transfer the fund directly to the accounts of the Samiti. While praising the efforts of the Ashrama regarding the integrated development of village and agriculture in Angara, he said that Govt. would be always stand by the Ashrama whenever it need any kind of support. From the next year onward all the expenses of the Kisan Mela would be sponsored by State Govt. Crop and Animal Exhibition: To encourage and to increase the participation of the farmers’ and for horizontal dissemination of technology the farmers were informed in prior to bring their own produces as exhibits and will be awarded for the best produce. 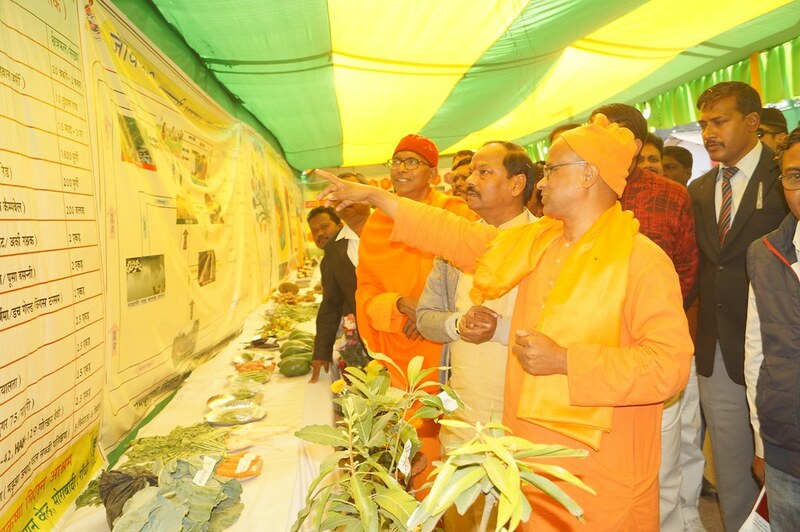 In all, around 700 crops and animal exhibits were brought by the farmers and were registered and exhibited in the Mela. 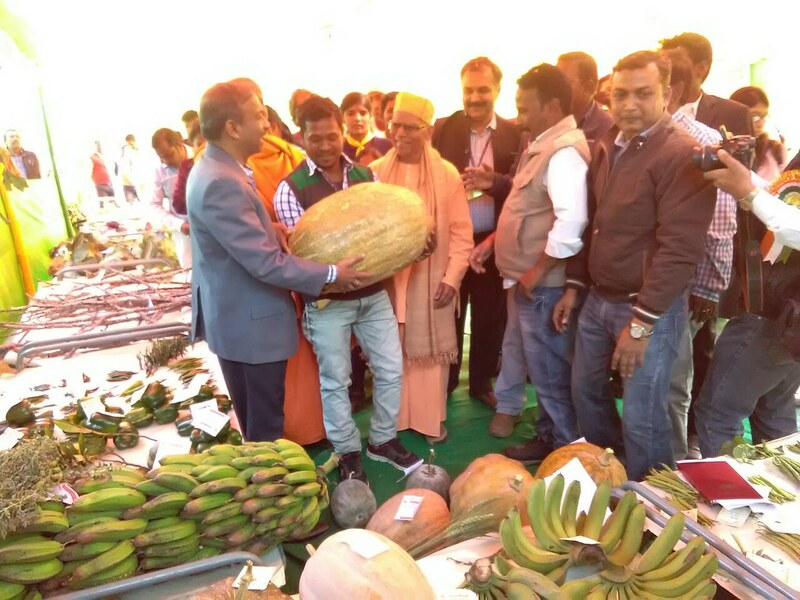 All the exhibits brought by farmers like vegetables, fruits, handicrafts, lac and mushroom were of best quality and appreciated by guests. Good breeds of healthy animals were also displayed in the Mela. 100 farmers were given prizes for their exhibits. 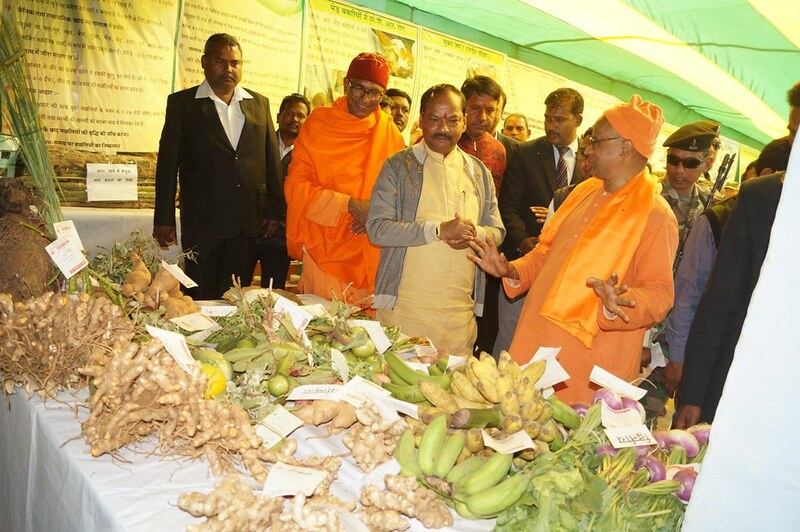 Stalls: 30 stalls from various research institutes, Birsa Agricultural University, seed companies, agricultural implements companies were there besides the stalls of Divyayan Krishi Vigyan Kendra, Ramakrishna Mission Vivekananda Educational and Research Institute and other departments of the Ashrama. As said earlier, different departments of the Divyayan KVK put up their stalls, models and live demonstration of some technologies of fisheries, puffed rice making machine, solar cooker etc. were done which was center of attraction for the farmers. 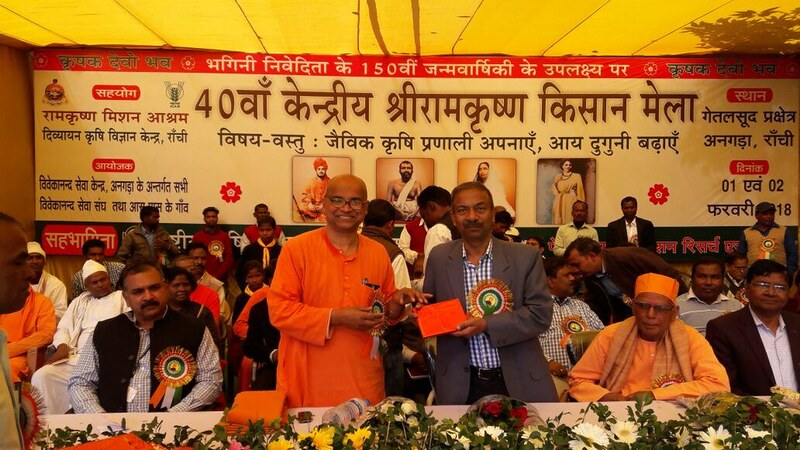 Thus, the Kisan mela proved a major source for transfer of innovative technologies to the farmers. 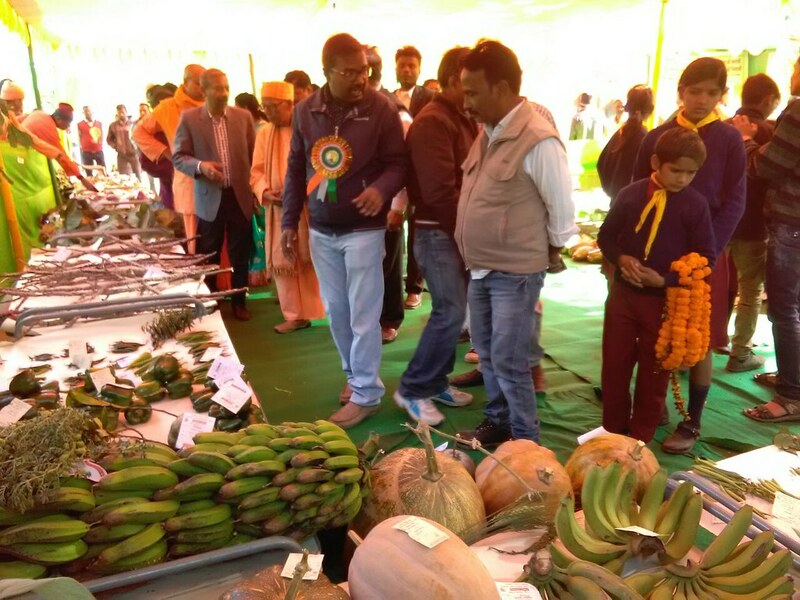 Visit of live demonstration units, the stalls and farm during farmer’s fair provided an opportunity to the farmers to practically see the technologies displayed in stalls and in field. 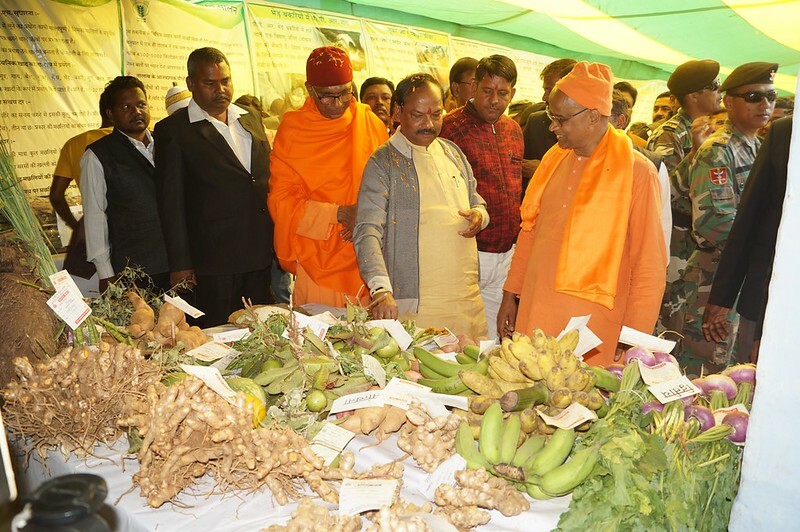 They had interaction with concerned scientists also Kisan Goshthies & Cultural Programmes organized on each day of the fair, were other highlights for attracting large number of farmers. Around 16000 farmers attended in both the days of Mela. 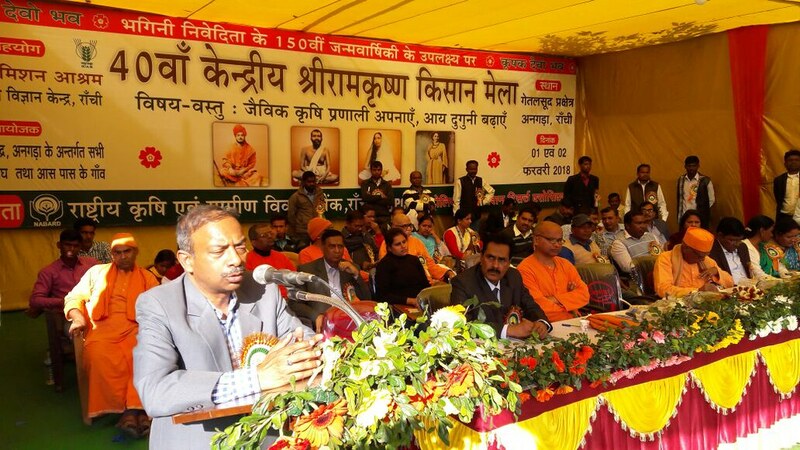 Kisan Mela organized by Ramakrishna Mission, Morabadi, Ranchi, on 1 and 2 Feb 2018.